Rigetti Computing is a full-stack quantum computing company. We design and manufacture superconducting quantum integrated circuits. We package and deploy those chips in a low temperature environment, and we build control systems to perform quantum logic operations on them. We build software to integrate our systems directly into existing cloud infrastructure. We also develop new algorithms for quantum computing, with a focus on near-term applications in computational chemistry and machine learning. Our product, Forest, is the world’s first full-stack programming and execution environment for quantum/classical computing. The company was founded in 2013 and is based in Berkeley, Calif. and Fremont, Calif. Most recently Chad was Technical Lead for 3-D quantum computing at IBM Research. He has been building prototype quantum processors for 12+ years. At Yale, he developed the first all-microwave control methods for superconducting qubits, and at IBM built qubits with world-record performance. Rigetti Partners with CDL to Drive Quantum Machine Learningby Madhav Thattai and Will Zeng, Rigetti ComputingWe are excited to announce a partnership between Rigetti Computing and the Creative Destruction Lab (CDL) to drive the development of quantum machine learning and help realize its full potential. Quantum computers will transform many fields, and the impact on optimization and machine learning (ML) will be among the most profound. With the rise of GPU computing and ML-specific processor architectures, the world has seen hardware-accelerated machine learning revolutionize many technologies and products. CDL’s first cohort of quantum machine learning startups will use our programming environment and toolkit, Forest, to develop applications for quantum hardware over the cloud. We are incredibly excited to support their quantum machine learning startups in discovering and developing applications using Forest. At least that's what the established thermal imaging firm FLIR and the Israeli startup Adasky think. At least that's what the established thermal imaging firm FLIR and the Israeli startup Adasky think. Some high-end automakers, including Porsche, BMW, and Audi, have been fitting vehicles with thermal imaging sensors from FLIR for several years. On the left is a visible-light camera, on the right its thermal sensor. Adoption of thermal imaging in autonomous vehicles is likely to come down to budget. Quantum computing system provider Rigetti Computing — which is working on both quantum hardware circuits as well as the software layers from firmware up to the application layer that will work on them — has released an open source quantum computing environment, Forest 1.0, for developers to start building on, even if they don’t personally have access to quantum computing hardware. The goal, said Madhav Thattai, chief strategy officer at Rigetti, is to “allow customers and the community to learn about quantum computing and develop real applications.” With Forest 1.0, developers amongst Rigetti’s current customers can start creating quantum computing applications while others in the community can use Rigetti’s quantum virtual machine. Quantum computing is a recent concept built on quantum physics, drawing on quantum mechanical phenomena such as to how light can be both a particle and a wave. If these are large linear algebra machines, then quantum computing is a resource to give you access to large linear algebra problems that you could ever have imagined. It lets you understand how algorithms will work in quantum computing. An 8-qubit quantum processor built by Rigetti Computing. The company on Tuesday launched its own cloud platform, called Forest, where developers can write code for simulated quantum computers, and some partners get to access the startup's existing quantum hardware. Many millions are being sunk into quantum computing R&D because information encoded into quantum effects can do weird things, too. But for now, the quantum computing chips in existence are too small to do things conventional computers can't. Select partners can access Rigetti's early quantum chips through Forest today, similar to how IBM has put its own quantum chips online. Introducing Forest 1.0 Today, I’m extremely excited to announce the public beta availability of Forest 1.0, the world’s first full-stack programming and execution environment for quantum/classical computing. 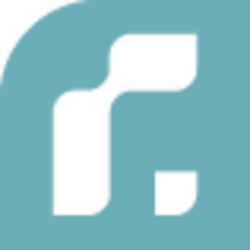 Rigetti Computing is a full-stack quantum computing company, and Forest is a full-stack product. So I’d like to highlight some of the key technical milestones that underpin Forest at both the hardware and software level. We are excited to announce the addition of two leading quantum computing researchers. Developing quantum computing software is one of the most fascinating and challenging emerging fields of engineering. These days Y Combinator co-founder Trevor Blackwell is head-down, trying to coach, but he still devotes a little time to his passion for robotics. To date, Y Combinator has already funded a whopping 740 or more start-ups, including hits such as AirBnB, Dropbox, Pebble, and Reddit. Each year YC gives seed funds to a few dozen start-ups and coaches them along to their first prototype demos. The companies we have funded are a significant fraction of the interesting tech companies starting these days," Blackwell said. 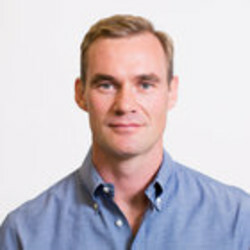 In 2005, Blackwell was one of four founders of Y Combinator, a start-up incubator that helped ignite a trend towards high-speed innovation centres. In that way the two aren’t that dissimilar, and Y Combinator wants to be there to help them both. Y Combinator-backed startups like Zen99, Fixed, and Checkr, while appearing simple at first glance, will make that transition smoother. He also noted there are a few other big issues that aren’t as flashy as nuclear fusion and quantum computing. Here are the most obvious examples:There were two companies building nuclear reactors that could fundamentally change the way we provide power both at home and in developing nations. As he told my colleague Kim-Mai in an interview earlier today, “YC has never been in the software business. Beep: Beep is a device that connects the music to every speaker throughout your home at the same time. Craft Coffee: Craft Coffee has a simple mission: to sell coffee online. You can see our post on the first session of the day here, and the post for the second session here. “This Bitcoin card may seem like a simple idea. Immunity Project: Immunity Project is creating a FREE vaccine to end HIV and AIDS.